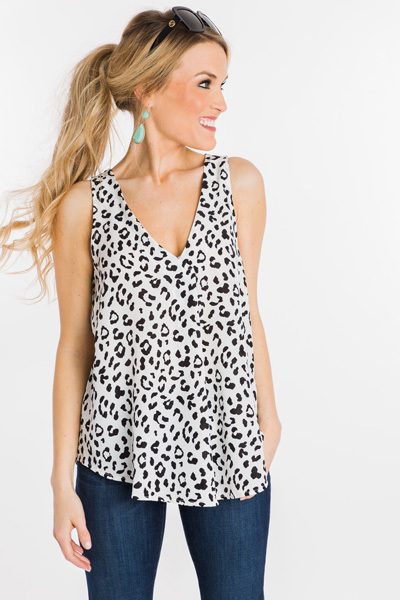 A simple swing tank with a fun, but still neutral animal print! 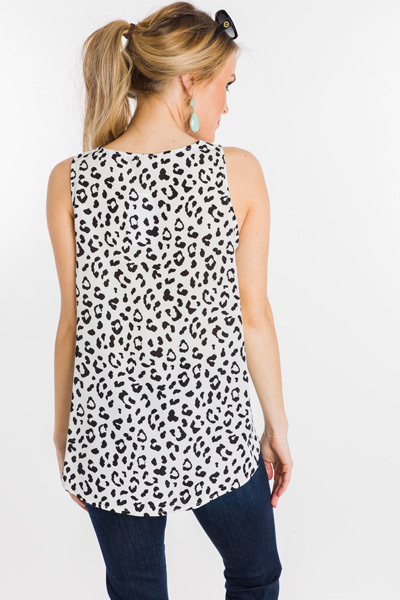 The pleated front gives it a no fuss, flattering shape. Layer it with a cardigan now, and wear alone in spring and summer.